-1948: Toys R Us founder Charles Lazarus opens Children's Bargain Town, a baby furniture store, in Washington, D.C.
-1957: First Toys R Us store is opened. -1965: Geoffrey the giraffe becomes the company's mascot. He appears in his first TV ad in 1973. The company sells stuffed animals, Lego sets and figurines in Geoffrey's likeness. 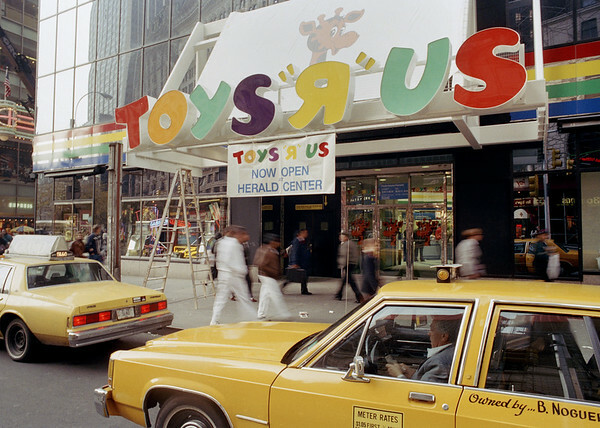 -1978: Toys R Us becomes a public company. -1983: Kids R Us opens, selling children's clothing. It had a 20-year run before all 146 stores were closed in 2003. -1996: Babies R Us is born, selling diapers, cribs and car seats. There were more than 200 Babies R Us stores as of last year. -1998: The ToysRUs.com website is launched. -2005: The company is bought by three private equity firms and taken private. -2007: Toys R Us buys well-known New York toy store FAO Schwarz. It closes the store in 2015 and sells the brand a year later. -2015: Toys R Us closes its flagship store in New York's Times Square, which had a 60-foot Ferris wheel, after 14 years. -2017: Toys R Us files for Chapter 11 bankruptcy protection. -2018: Toys R Us, following poor holiday sales, files a plan to close or sell its 740 stores in the U.S.
Posted in Newington Town Crier, Business, Newington News, State on Thursday, 15 March 2018 10:56. Updated: Thursday, 15 March 2018 10:58.